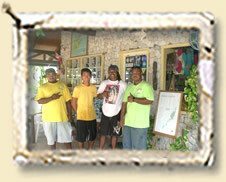 Dolphin Bay Resort & Peleliu Divers are owned and managed by Godwin & Mayumi Sadao. 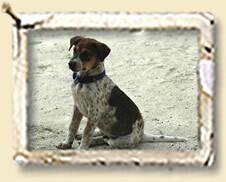 Godwin is a native, born and raised on Peleliu, and has intimate knowledge of the ocean and reefs. He returned to his home island and opened the first dive shop. 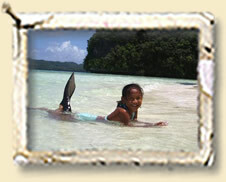 We are proud to show our guests the wonderful dive sites in Palau. Diving here is great! But we also want our guests to have special time beyond the diving, so for our guests after their great dive days we’ve been dreaming about……. We’ve been working on the design to make Dolphin Bay Resort an eco-resort. The design, as much as possible, combines natural materials and island style, creating a simple and unique way for guests to be comfortable and to feel the tranquility of our tropical surroundings. We want to share all of this beautiful island, not only the amazing underwater world. 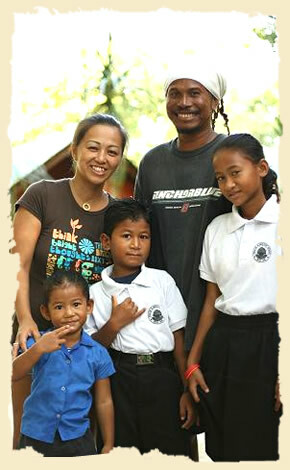 Attention to personal service by your hosts, Godwin & Mayumi, combine to make this a place where you can feel at home. 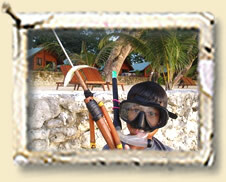 It is our pleasure to assist you in preparing a trip of a lifetime, and to host you here as our guests. 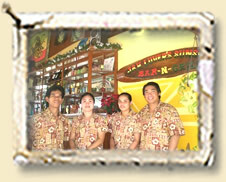 Our friendly staff will also assist during your stay, to make your vacation an unforgettable one. 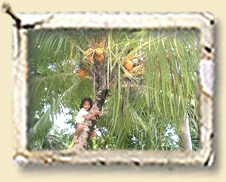 Our three children (Mai, Dion and Yumi) will show the local way of fishing, how to climb coconut trees and make coconut drinks, and take you kayaking to show the fun and beauty of their island home. We invite you to come and share a little piece of our island dream.